Polly’s life has fallen apart. Her shared dreams with her husband have come to a disastrous end, they’ve decided to separate and Polly is looking for a new home and a new life altogether. Fate sends her to a small fishing town where she knows no one but the rent is cheap and the view is priceless. Things get off to a rocky start when she realizes the employment prospects are nearly non-existent, her landlady seems to despise her, and the whole idea, once in effect, seems fairly absurd. But things aren’t as dire as they initially seem. The locals seem to be warming up to her, she’s adopted a wounded puffin to keep her company, and she’s re-discovered her love for baking. Perhaps the most exciting new development is that not one, but two local men seem to be interested in her. Will Polly be able to make a life for herself in isolated Cornwall? Will she find love again? What will she say when her ex-husband Chris creeps back into her life? 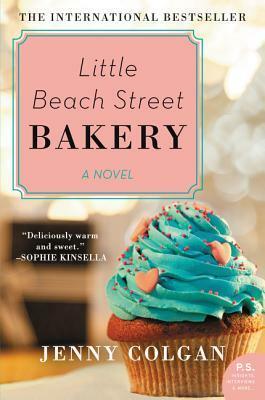 Little Beach Street Bakery, by Jenny Colgan, is a novel about new beginnings and following your own path to happiness. The breakup recovery novel is a favorite genre of mine, because inevitably the heroine discovers a new passion for life and a talent that she never knew existed, and without the help of her failed relationship she would have never discovered her full potential-which is empowering in itself (and the new romance doesn’t hurt a bit either). If you enjoy novels that fit this description, Little Beach Street Bakery is a great choice to start off your summer.